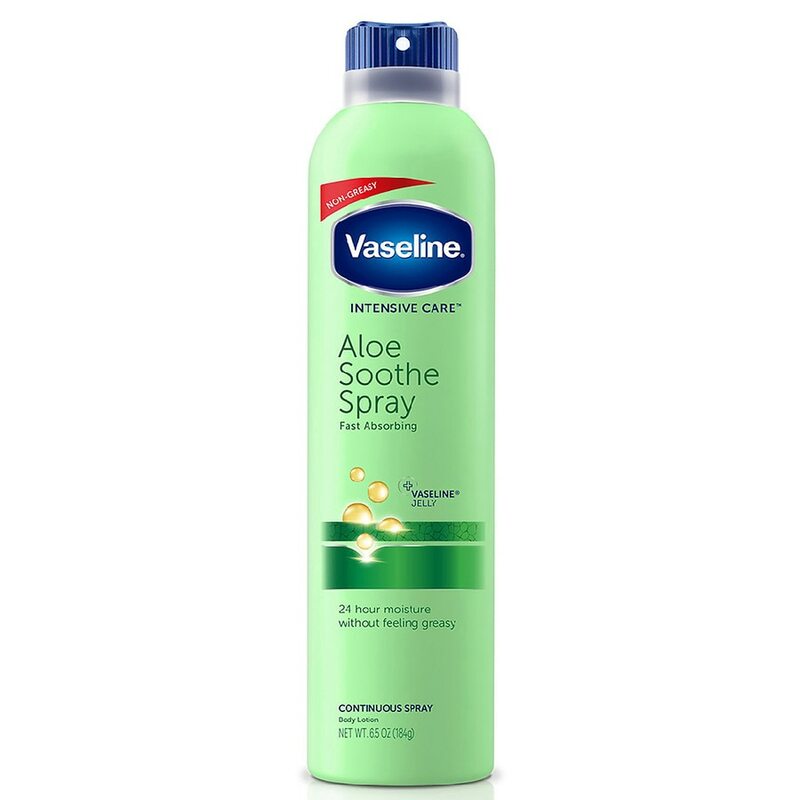 If you've got dry skin but lead a busy lifestyle, Vaseline Intensive Care Aloe Soothe Spray Lotion is for you. This quick, convenient spray lotion moisturizer absorbs in seconds, to help heal very dry skin. Caring for dry, sensitive skin couldn't be easier. Spray on Lotions for Long-lasting Moisturization Vaseline Intensive Care Aloe Soothe Spray Moisturizer contains glycerin and micro-droplets of Vaseline Jelly to pull water into the skin and lock in moisture. Apply the lotion after showering, or whenever your skin feels dry for moisturization that gives you instantly softer skin. Spray Body Lotion for Time Saving Moisturization Vaseline Intensive Care Aloe Soothe Spray Moisturizer is part of our range of Vaseline Intensive Care spray on body lotions designed for women who are pressed for time but still want effective moisturization. Vaseline spray and go lotions are designed for easy application and even all over coverage. The unique formula absorbs quickly to help heal very dry skin. An after shower lotion spray like Vaseline Intensive Care Aloe Soothe body lotion spray is best for our maximum moisturization when you have limited time. Just spray on the non-greasy formula, rub it into the skin, and you're done! It is dermatologically tested, and suitable for sensitive skin. For all over body use. 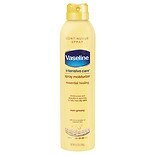 Vaseline Spray Lotion Essenti...6.5 oz.